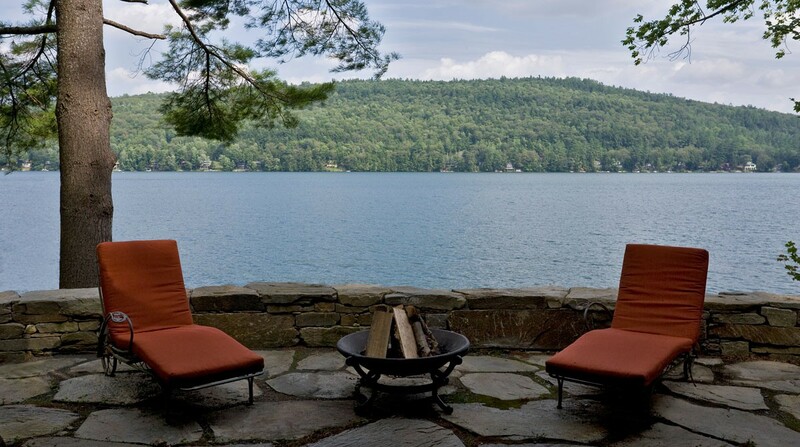 Because this cottage is built into a steeply sloping hillside on the west shore of Lake Morey, it is entered on the second level. 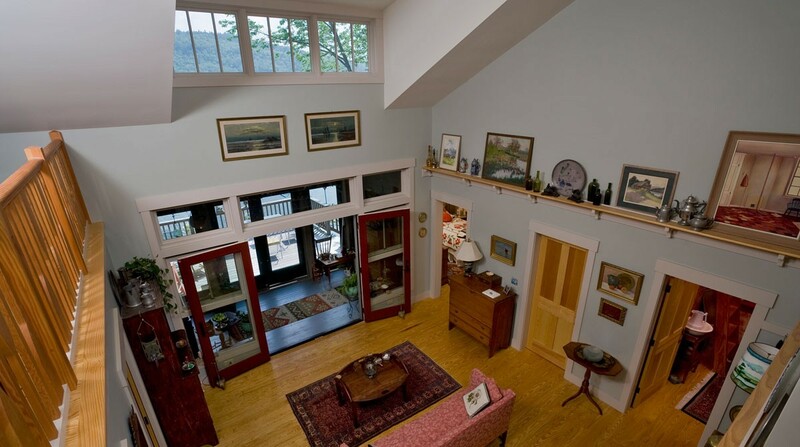 After a glimpse of the lake through the dormer windows, one descends stairs to the first floor. The existing cottage was beyond repair and was demolished to make way for the new cottage. 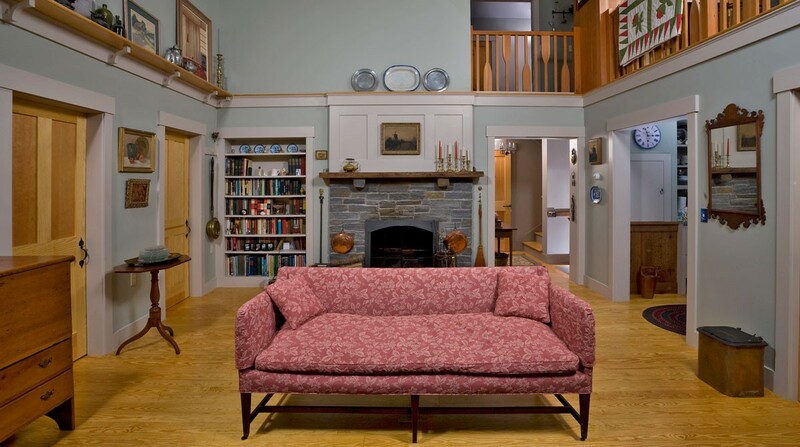 In the spirit of the original cottage the primary living spaces are organized around the central two story living room and fireplace. 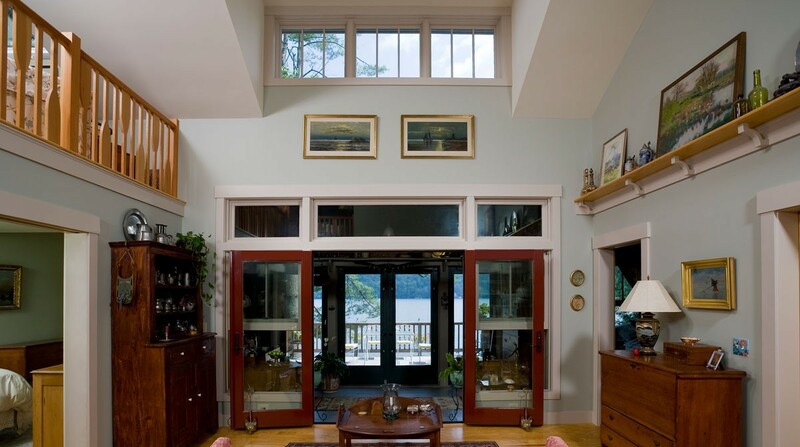 The living room opens directly onto a screened porch and then a deck which overlooks the lake. The basement level opens directly onto the shore and serves as a bunk room and a boat storage area during the winter.